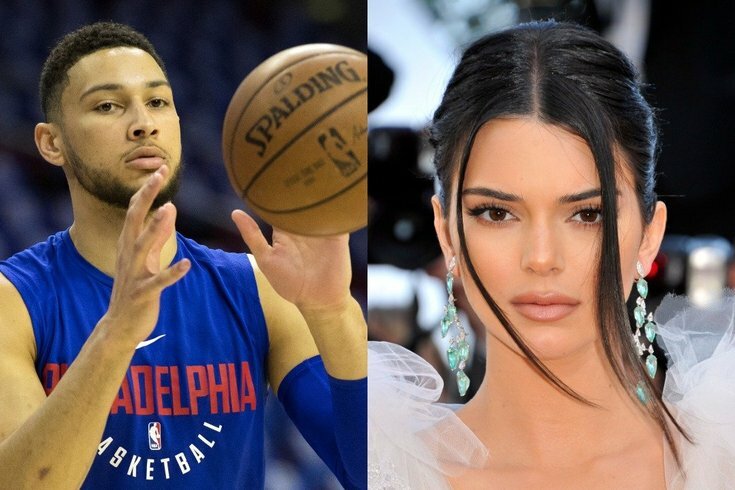 Ben Simmons and Kendall Jenner have reportedly been dating for the last few weeks. Philadelphia 76ers star Ben Simmons scared everyone this summer by courting destruction with the Kardashian curse. He and Kendall Jenner were spotted at clubs all over Los Angeles, reportedly living together and filling up tabloids with nauseating stories about their whatever-you-want-to-call-it. In a pretty meh offseason for the Sixers, the best news yet (apart from Joel Embiid studying white 30-year-old dudes shooting threes) just arrived: Simmons and Jenner are done. A report from E! claims the two are winding down their "whirlwind summer fling," apparently because the 22-year-old model wasn't fully committed to the idea (of hindering another basketball player's career). "She always wanted to keep her options open," a source told the site. "She likes Ben but she knew it was more of a summer fling. They both have busy careers and it is what it is." While the buzz around Simmons this offseason has been his romantic life — including apparent stalking by ex-girlfriend Tinashe — the rookie of the year put some of Philly's fears to rest last week when video of his improving jumper surfaced on Twitter and Instagram. He also looked unstoppable in a pick-up game. The Sixers will appear in 27 primetime games during the 2018-19 season and Simmons will be carrying heavy expectations. If his jump shot comes to life in real NBA games, Kendall Jenner may actually deserve credit for the support she provided Simmons this offseason.